The Trump card. It is an age old cliché but it has garnered new meaning in American politics. This particular reference speaks to a specific type of card, found in many board games and card games, which is able to pull rank over and above other cards. It is valuable, it is conducive to winning and it is disastrous to your opponents. It also happens to bare the last name of our current and 45th president. During President Donald Trump’s precocious and controversial march to the White House, many pundits on networks such as MSNBC and CNN, sometimes even Fox News, complained that the Donald seemed to be able to get away with behaviorisms that his predecessors would have been vilified for. The use of casual speeches, his often bombastic and self congratulatory tweeting and statement making, his use of innuendo that has and even to this day is racially insensitive, accusations and clear moments of sexism, and a looseness with the truth have all been a part of the criticisms levied against this president and yet to no avail for his detractors. It seems as if President Trump has and is a trump card. He is invulnerable as he is divisive. But what is the source of such power? He has exchanged most of his closest cabinet members for new ones who are much less famous and much less likely to cause infighting. Trump is the subject of a proposed scandal and perhaps could be the focus of Special Counsel to the Department of Justice Robert Mueller’s Russian collusion investigations and his approval rating is at a still underwhelming 40 percent according to the latest Gallup poll, an improvement from a much smaller percentage of support just last year. All signs point to a man reeling with lack of political clout to pass major legislation(see: the wall, healthcare reform) but the truth of the matter is he still speaks to crowds that would dwarf any of his democratic rivals for his seat and those of his own party, who are not dealing with nearly the same level of bad press. Whatever we think of him, we have to give this powerhouse of populism credit; he wields the wand of the everyman with a magic touch. Populism is the politics of everyday people. It’s the coal industry, its farming, its anti-NAFTA sentiment, its anti-globalist and it is the reason why Trump is Teflon and Hilary is sitting at home in regret. Populism has a strange quality to it, it is able to expose unlikable traditional and antiquated policy positions that buck current trends like pro-oil drilling and anti-climate change advocacy while also turning those who feed off of it into symbols of Americana and the Good Ole Days. People, no matter how much more progressive they may appear today than in the days of Nixon and Reagan, still will pine for a leader, a singular showman who can rev up the engines of traditionalism, nativism and nationalism that the liberal elites, intelligentsia and professional political class are accused of despising. Trump ran as an insider who was exposing trade secrets, a man of strength and grit who would be unapologetic; he would be a walking talking version of what many in this country consider their America to be, a bloatef proclamation for those that are simply better than, bigger than, louder than and prouder than everyone else. Yes, people can say that he still misspells words like a buffoon or is not knowledgeable about prudent subjects, but for every high mind individual with a high minded opinion of a man who went from obscurity to the nuclear button, there is an everyday American who feels like those same criticisms would be levied on them and because of that Trump conquers all critique. If he were a card, on the back would be a picture of him as a frontiers man with all of the Lewis and Clark fair one could muster from a Party City, on the front, he would shrewdly have a picture of whomever he considers to be “you and me”, so perhaps both sides would appear the same. He wasn’t ignorant of the power of populism. He knew that the media and the politicians of this country were starting to come off as arrogant, as entitled, as nepotistic and distant from a major swath of the electorate. He knew that if he could be seen as one of the everyday men and women in this nation than he could join them in consideration the bullying that comes from the “top”, from the “insiders”, from those who were making America worse again. So next time you wonder why he is president or you want to complain about his poll numbers, his scandals and the chaos in his administration, remember, you’re not degrading him or haulting his momentum. Your words will be felt by the millions of Americans who would rather align with a man who plays the victim and absorbs criticism like a Cross-fit athlete absorbs pain and calories only to grow more emboldened, the man who is taking a thousand punches just to land one big one, than anyone who thinks his next misstep will change his supporters opinion of him. 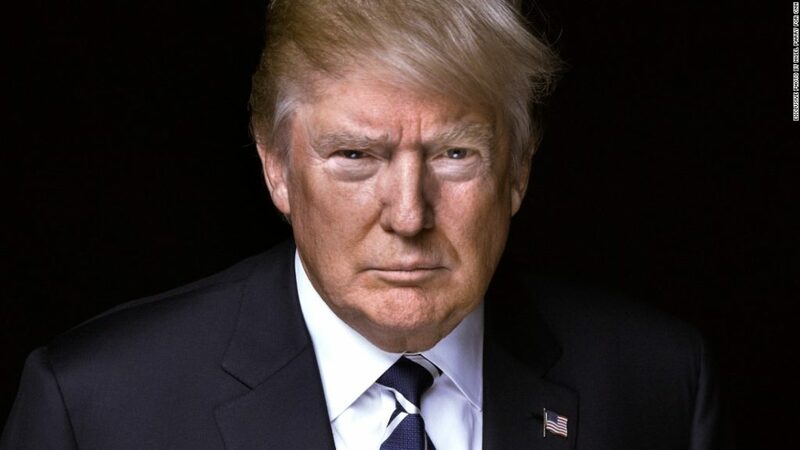 Because his trump card is that there is nothing more you can say about him that hasn’t been said, and his followers would rather be in the bottom of the barrel with he who has no filter or remorse rather than you, who dares ask him to apologize and apologize…..and apologize..and I think you get the point.